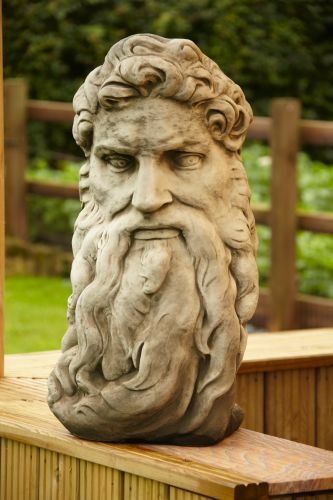 Gods Head is a impressive Statue of the Greeks King of Gods Zeus. Wll look great in any garden/business etc. Gods Head stands 76cm Heigh and Weighs 28Kg.